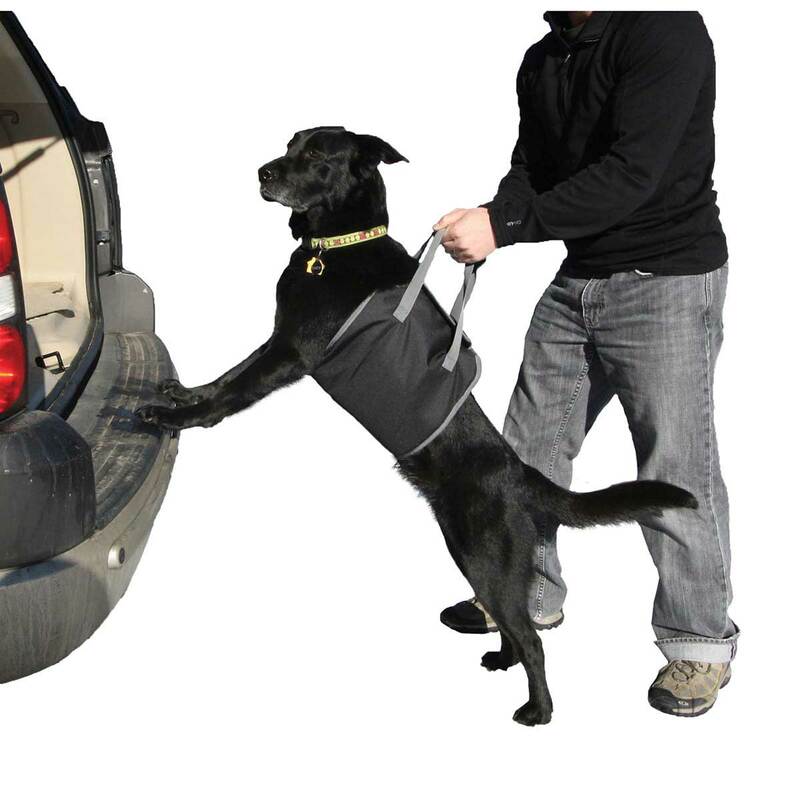 The PupBoost Harness is an easy-lift padded harness that eliminates the struggle and back strain of lifting large dogs into a vehicle. This product is outstanding for injured or elderly dogs as the harness is comfortable for the pet, eliminates joint stress from jumping into the car. Adjustable hook and loop closure fits medium to large dogs.